When first arriving at Winona Lake for a visit, this is your first view of the lake and the cottages on the opposite shore. It's one of my favorite photos of Winona taken in January of 2012. It was a cold day when I walked around the lake and knelt down in the snow behind the weeds to take this picture. I have wanted to turn it into a quilt for quite some time. 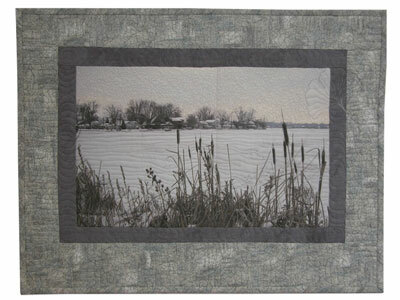 The photo has been printed on fabric, with added borders of dark gray and a lighter gray print on the outside edge. 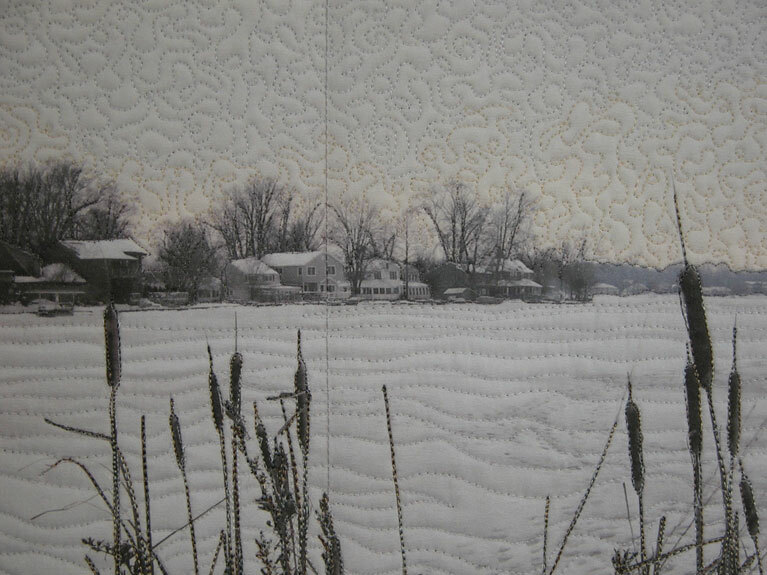 The machine quilting was done with fine polyester threads (Bottom Line), so the details of the houses on the far side of the lake and all the footprints on the ice are still visible. The weeds in the foreground have been enhanced with a heavy dark variegated brown and gray thread; they have now become the focal point of the quilt. 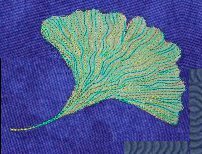 If you look closely, you'll find a ginkgo leaf quilted into the upper right border. 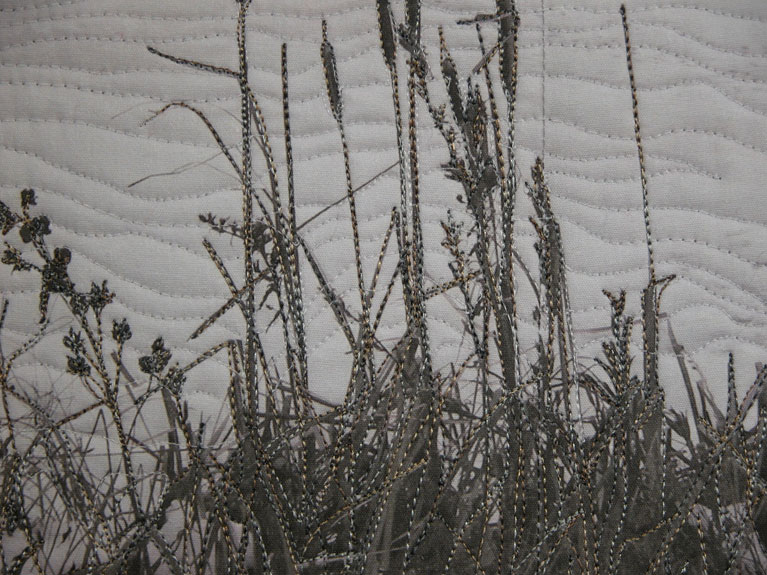 Soft touch batting is 80% cotton, the quilt is bound with a matching gray print.